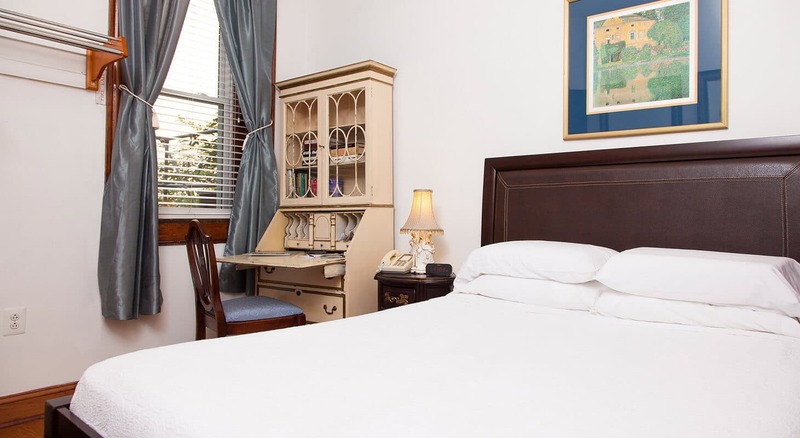 This room is peaceful, lovely, very comfortable and personal, and perfect for the single traveler. 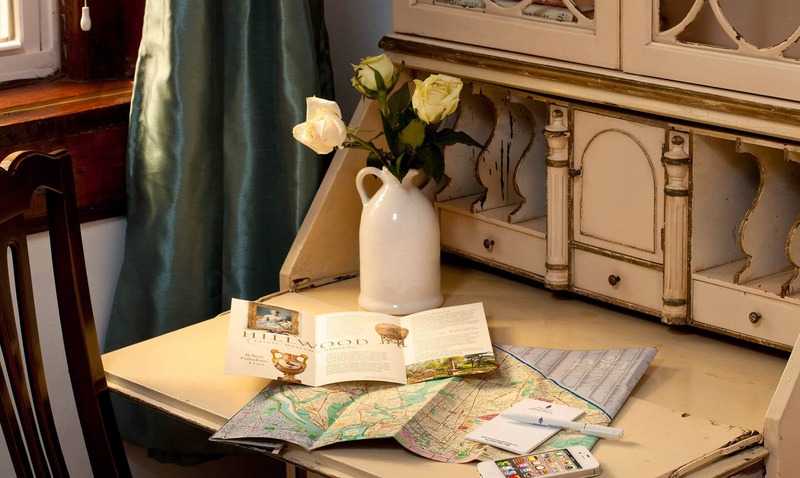 This room is adorned with a brass bed and an antique secretary. 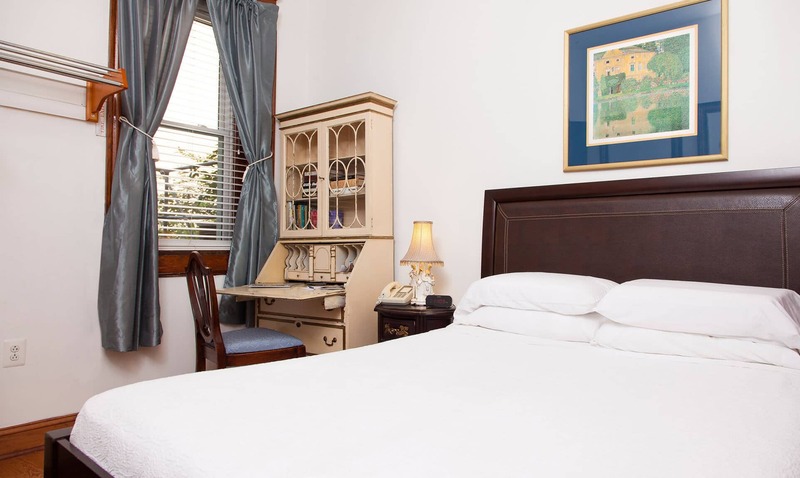 The mattress is very comfortable and, as we do throughout the house, we use only white linen to assure cleanliness and comfort for our guests. The en suite private bathroom is all white and equipped with a shower and bathtub. The wood floors give the room a warm feeling and help eliminate allergens. 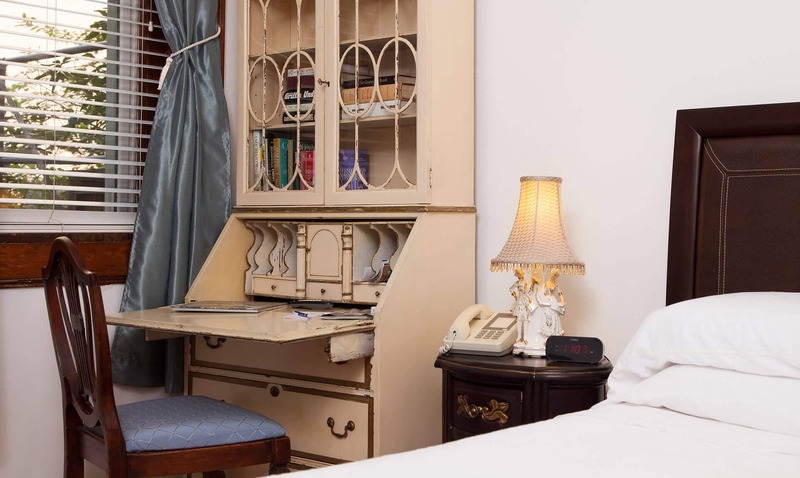 The room is located one floor up and it faces the back, offering a view of upscale residential buildings. We do not have an elevator but will gladly help carry your luggage to your room. 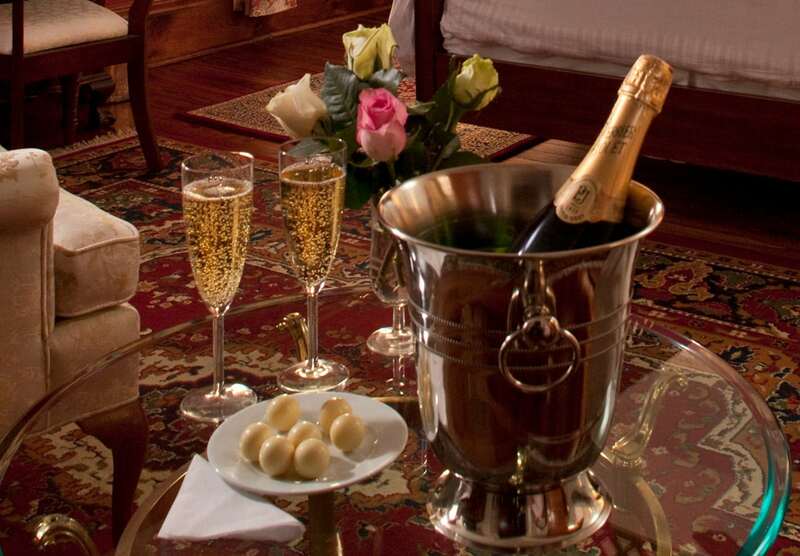 Upon your arrival, we will place a bottle of the finest Moet & Chandon Champagne and fresh Strawberries in your room. This French Champagne will be a perfect way to start your visit in Washington DC.